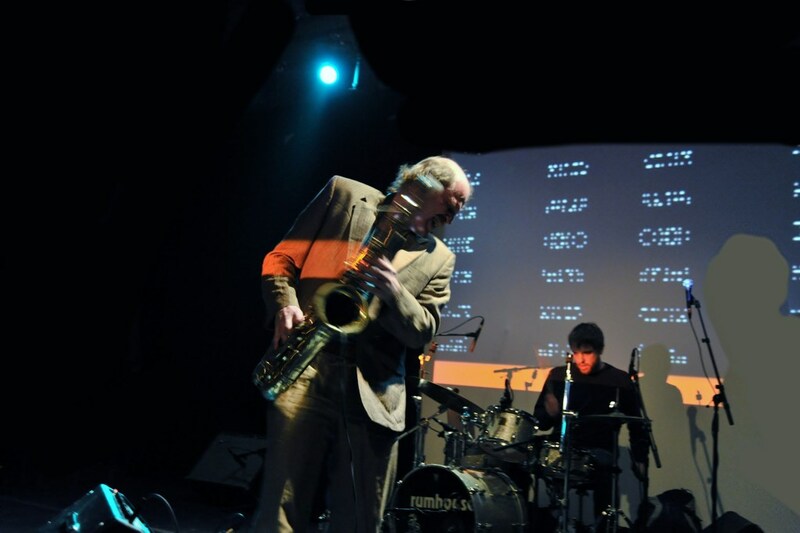 The LSG Creative Music Series is the longest standing experimental music series in the Bay Area and California, with weekly Thursday night shows since 1991. The venue aims to be a welcoming, inclusive space for musicians of all backgrounds and levels - from artists trying a new project in public for the first time to well-known international acts. Founded by LSG Gallery Directors Laurie Lazer and Darryl Smith, the series has been curated by several Bay Area musicians. Since 2002 it's been curated by Outsound Presents and improviser/composer Rent Romus. They present a wide cross section of sound artists from every experimental genre. The series is an artist-run, grass-roots DIY effort that relies on professionals in the community who volunteer their time. Please join us in setting up chairs, curtain, lights, sound once a week, and contact Outsound Presents to get involved in marketing and project coordination. The Luggage Store Gallery is a non-profit corporation funded by the City of San Francisco, grants, and your contributions. Gallery hours are Wednesday through Saturday, Noon to 5pm. For gallery information call 415-255-5971. The majority of our booking occurs when an artist contacts us. Contact Rent Romus if you have any questions. Experimental: new sonic, improvised, noise, electronic, lowercase, avant-jazz, outrock, 21st century composition, and sonic art. 70% of door proceeds is equitably split between sets. 30% of door proceeds go to the Luggage Store Gallery for use of the space. We volunteer our time and efforts to running the show. One comp admission per artist is recommended. No Open Rehearsals: Please prepare for your concert prior to the scheduled date. Luggage Store is an art gallery. We will not book acts that would endanger the series for future artists Destructive performance art is not allowed including the use of power tools, fire or fume generators. This is a no smoking environment including incense or scented candles. We have a simple PA (mixer and 2 speakers, 2 mic stands, 2 mics), as well as tables and power strips. If you plan to use the PA, please bring the cables you would need to plug in. We can take mono 1/4" cables or XLR. Located on Market Street near Taylor 1 block from Powell Street BART station, and several San Francisco buses stop right outside. Parking is best on 6th, Taylor or Golden Gate. Stay out of alleys. Loading in by double parking on Market is risky - you can get ticketed. We recommended using a cart for transporting equipment so you can park, load up your cart, and trek on over to the space. Be ready for 30 stairs, there is no elevator. Check calendar for date availability. Ruth Wilhelmine Meyer in Vinje in Telemark is a Norwegian sound-based vocal artist and multivocalist. 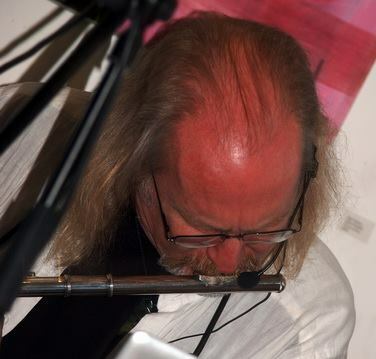 Meyer's sound expression has traces of larynx, opera, contemporary music and folk music from various parts of the world. Meyer's character lies in the nonverbal expression, as well as her vocal scope, which spans 6.5 octaves. Meyer is a graduate of the Grieg Academy and from the Orff Institute at the Mozarteum / Hochschule für Musik und darstellende Kunst in Salzburg , Austria . Meyer is a college lecturer at the Department of Performing Arts NTA | Østfold University College , and hourly teacher at the Ole Bull Academy . 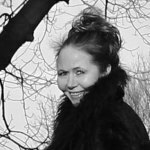 She has been employed at the Grieg Academy, the Norwegian Academy of Music , and is a sought-after course holder in Norway and at educational institutions abroad. She has sung in The Norwegian Soloist Choir for 7 years and had the state's 3-year artistic grant 2013-2016. Cellista is an American cellist, performance artist & the artistic director of the interdisciplinary performing arts group Juxtapositions. She is known for her collaborations with artists across various media, as well self-producing stage poems (live performances staged in unconventional spaces that incorporate elements of classical music, theater, improvisation and visual art across a range of genres including pop, hip-hop, classical and more). These performances often feature a carbon fiber cello and loop station.